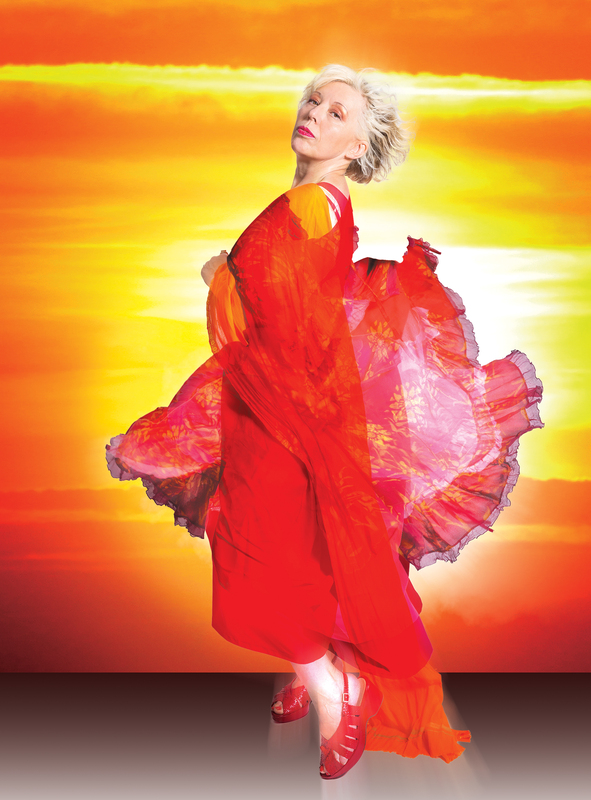 Barb Jungr opened her new show This Wheel’s On Fire at Crazy Coqs with a selection of songs from Bob Dylan, Leonard Cohen and others including Bruce Springsteen, and even Kern and Hammerstein. Jungr is known for her personal take on much of Dylan’s material, but this new collection represents a further, deeper, exploration of the music and lyrics. She makes an ambitious opening with the wordy verses from It’s Alright Ma- I’m Only Bleeding, and moves on to one of the stand-out numbers of the evening – a mash-up of Walk Me Out in the Morning Dew and an effectively dark and sinister feel of Richard’s and Jagger’s Paint It Black. The well-structured first half contains some excellent arrangements by Musical Director Simon Wallace on the subject of change, causing us to hear the lyrics anew in The Times They are a Changin’ and the superb Things Have Changed, and there is a rhythmically complex jazz take on Springsteen’s Devils and Dust, which includes a powerful harmonica solo by Jungr herself. There are some mesmerising items in the second half too, most especially the title song This Wheel’s On Fire, with an almost Macbethian delving into witchy interpretation. Ol’ Man River also greatly moved the audience. However, the structure of this half in terms of narrative and emotional arc would benefit from some attention. There needs to be more changes of pace and some lighter banter, and re- positioning of songs with similar rhythmic structure, to keep the surprises coming. Albeit with that reservation, this work is most arresting, demanding from the audience a real and close attention, and signals a movement in Jungr’s artistic direction. It is musical sophistication contrasting with earthy, primeval subject-matter, reinforced by the use of her powerful chest voice morphing effortlessly into a tremulous sweetness in numbers such as Blowin’ In the Wind. An original, intriguing and sometimes darkly challenging evening – I sense an enticing development in Jungr’s work, and I’m looking forward to more. This entry was posted in Cabaret Reviews and tagged Barb Jungr, cabaret reviews London, Crazy Coqs, fiona jane weston, London cabaret, Simon Wallace. Bookmark the permalink.